Catch less but catch better. - Strictly controlled fishing effort. 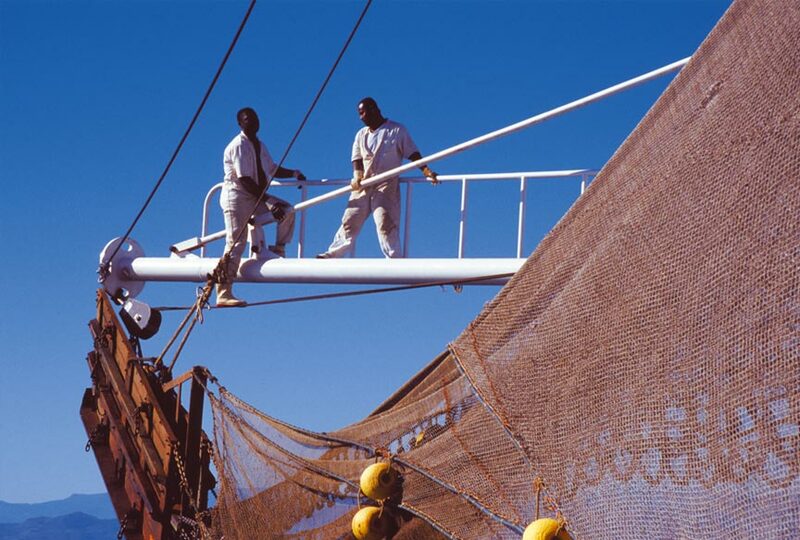 - Larger mesh size of nets and reduction of the width of the trawls. in collaboration with the WWF. - Cooperation with traditional fishermen to ensure a sustainable use of marine resources. - Creation of alternate income sources for the traditional fishermen during the closure of shrimp-fishing season. Unima has played a key role in setting up responsible fishing practices in Madagascar, mainly through its role as a founding member of the GAPCM (Group of Shrimp Aquaculture and Fishery operators of Madagascar). Together with this organisation and the Marine Stewardship Council (MSC), the Group has initiated a procedure of eco-certification for fisheries.